Did everybody else get off for Memorial Day today too? It’s just one of those poor holidays that deserve some real celebration, all the kids like it because Memorial Day only gets you out of school, but nobody really celebrates it. Anyways I just played video games at my friend’s house the entire day, Sonic Adventure Battle 2 for the Game Cube. 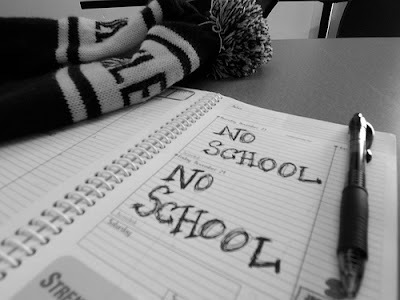 It was weird having no school today, a Monday and nothing to do. School is almost out for us, our last days are Tuesday and Wednesday this week. So when do you guys get out? Oh and sorry for posting so freaking late, too. And hey! Look its my favorite type of pen in that picture; a black Pilot G 2-07. Always use that brand for inking my traditional art, excellent brand type. This entry was posted on May 31, 2010 at 3:29 PM and is filed under Uncategorized. You can follow any responses to this entry through the RSS 2.0 feed. You can leave a response, or trackback from your own site. I NEED summer. I hate it during the winter; I’m shut inside with nothing to do for over half the year. I wouldn’t mind the rain, if it was 80+ degrees while it was raining. But since it’s almost never above the 60s, I have a bit of a problem. Well, you’re a summer, garden-y man. I can understand that you have an everlasting adoration for the summertime. To tell the truth, though I do prefer winter, I love getting out of school, swimming, and doing all the summer activities. Its just the heat I can’t stand, ya know. And I love the sky when it rains! Its actually thunderstorming/raining right now as I type this. Yeah that’s true. My house has been sweltering for the past three hours and I can’t take it. I had to open my skylight to let in some fresh, cool night air. I’d open my window as well, but then my blinds rattle too much. Again, I only like the rain if it’s warm out. Lol. I know, aren’t we so lucky? I can’t believe you stay into school that late, when do you usually go back? Because we typically go return in late August. We start school right after the three day weekend. Like the second or third of September. Ah, you know how I mentioned that joke flew right over my head; more like soared? Well, it just came around like a boomerang and hit me in the face. You’re lucky you get to stay out that late for school, but then again you get out very late in the summer. I’m kinda glad our school lets us off in the beginning of June. I’d much rather be out early. Starting late isn’t as fun, and I hate being in school until the end of June. Very irritating. Yeah, summer starts more in June rather than early July and by then you guys will have missed roughly about a month of free summer. But at least its nice when you walk to school/take the bus/drive there. I don’t know about you, but it’s still raining here. We still have more rainy days than sunny days at the moment. Again, very irritating. I need to move somewhere warm and sunny all the time. I maybe I should investigate eastern Washington. I’ve never been over there. Actually I prefer it being more rainy and such, I’m just one of those people. I’ve never liked summer as much as I do winter. The only thing maybe that I like about it is swimming. Tee-hee, you’re first sentence made me laugh. Sorry, dirty mind over here. You get out THIS WEEK?! Urgh! Sooo jealous right now. I don’t get out until the 22nd.